This chapter combines history and memoir. The authors are both historians and both grew up in Los Angeles as Dodgers fans. Gorn followed the team in the late 1950s and 1960s. Lauterbach Dale became a fan a generation later. 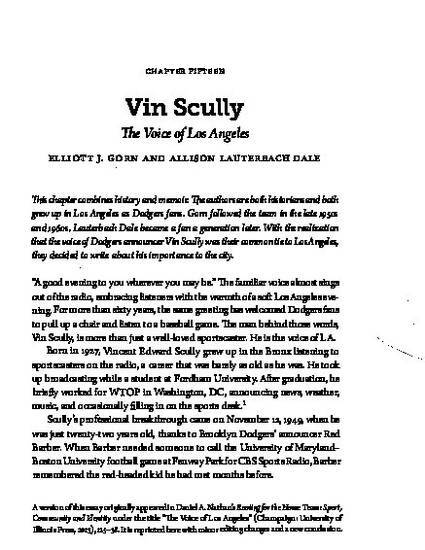 With the realization that the voice of Dodgers announcer Vin Scully was their common tie to Los Angeles, they decided to write about his importance to the city.